Kensington Market | You windy rathole! I thought the “No Pigeons” sign on the door of My Market Bakery was a joke until this morning. 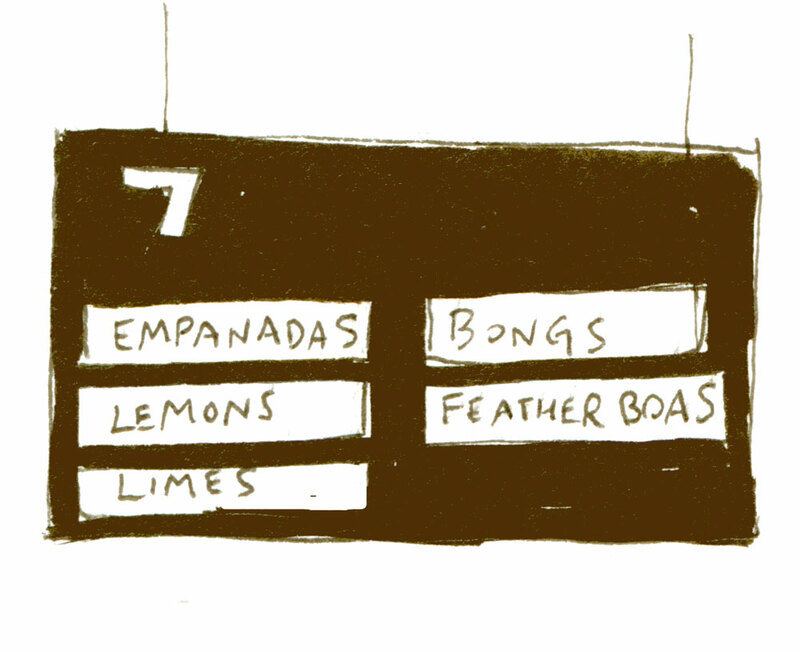 But when I walked into the Kensington Market bakery, a staffer came out of the kitchen with a pair of tongs. “You let the pigeon in,” she explained. Apparently, this particular pigeon hangs around the front of the bakery each morning, waiting for a customer to open the door. She then runs inside and tries to eat as many crumbs off the floor as she can before being hustled outside again. 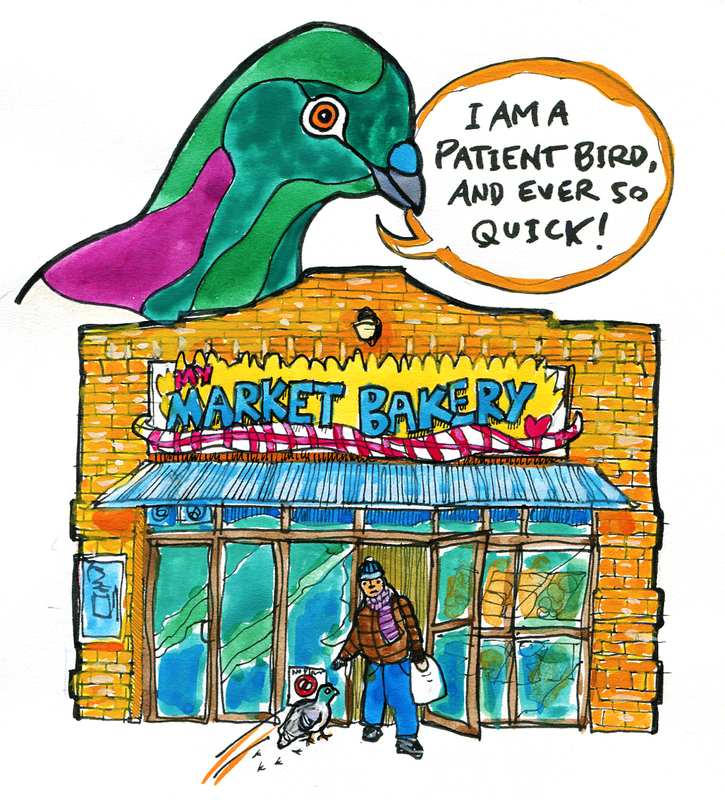 On my way out of the bakery (with some excellent multigrain bread), the ejected pigeon was once again waiting by the door, and nearly made it past me.